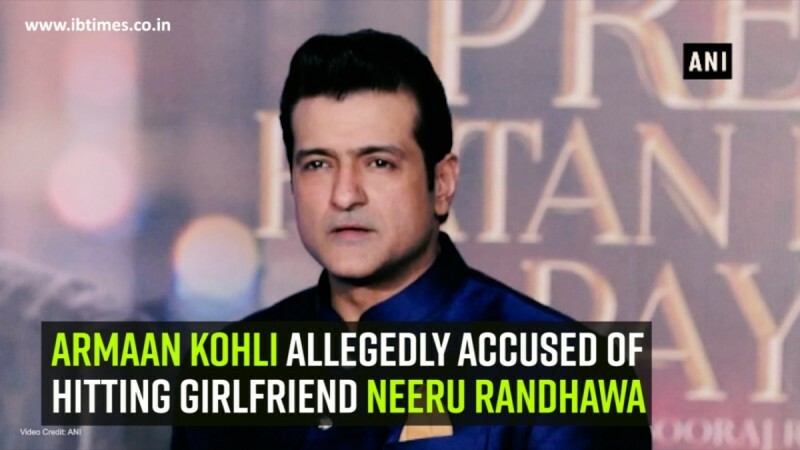 Armaan Kohli was on the run for almost a week after a physical assault complaint was filed against him by his girlfriend Neeru Randhawa, a 35-year-old model, on June 3. Armaan Kohli, who was booked for physically assaulting his live-in girlfriend Neeru Randhawa, was caught by Mumbai Police from a friend's farmhouse in Lonavala on Tuesday, June 12, after he came out from his hideout to buy a new SIM card. He was brought to Mumbai late on Tuesday and will be produced before the court on Wednesday. So, how did the Mumbai Police manage to arrest the absconding former Bigg Boss contestant? After leaving the city, the 45-year-old actor was changing his locations and travelling through cities of Maharashtra like Solapur, Pune and Lonavala. During this time, he was switching different SIM cards to avoid getting tracked by the cops and learn his whereabouts. Meanwhile, three teams of Mumbai Police were on the lookout for Kohli who was using different SIM cards to connect with his family, friends and advocate. Kohli then reached his friend's farmhouse in Lonavala and wanted to buy a new SIM card to confuse the cops about his current location. Earlier, the police, on two different occasions, had visited Kohli's house to serve a notice, but they couldn't find them and even his phone was switched off. He went out to a local shop to buy the SIM card where a passerby identified the actor and immediately alerted the police about his location. A team from Santacruz police station reached the spot within two hours and nabbed Kohli. While further investigation is currently underway, Kohli may appeal for bail when he will be produced before the court. Kohli was booked under sections 323 (punishment for voluntarily causing hurt), 504 (intentional insult with intent to provoke breach of the peace), 506 (punishment for criminal intimidation) of the Indian Penal Code. According to the complaint, Neeru Randhawa, who was in a relationship with Kohli for the past three years, had been living in with him in a flat in suburban Santacruz. On June 3, the two had an argument over financial issues of a villa in Goa, owned by Kohli, at their residence. Kohli allegedly pushed Randhawa during the heated argument and she fell from the stairs. She alleged that Kohli even pulled her hair and smashed her head onto the floor from which she suffered head and knee injuries. After the scuffle, she was rushed to a hospital by her driver and admitted there. She has got two stitches on her head and is still recuperating from the traumatic incident.